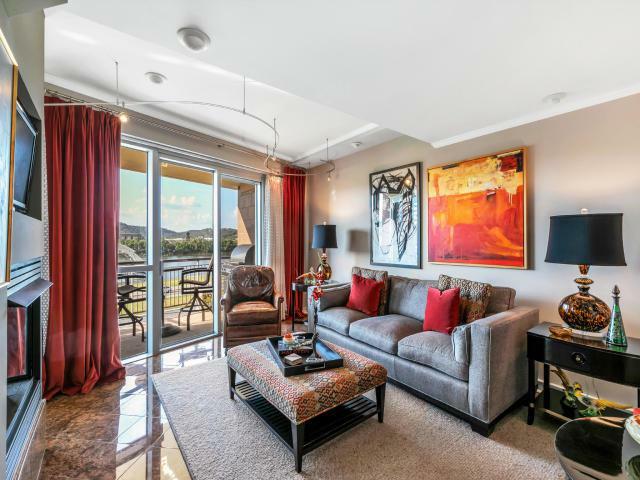 Original owner of this two bedroom-2.5 bath condominium located in the River Pier Landing Development. 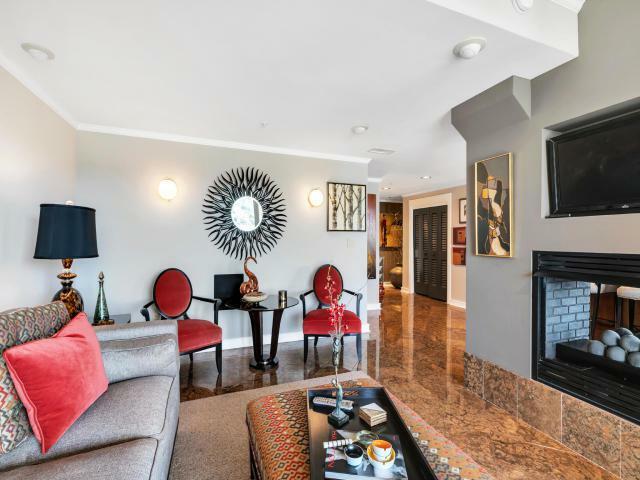 In this condo the focus is on luxurious amenities. With a touch of a button, the ''Smart Homes'' system with its many features affords the home owner entrance to bright sun filled rooms by day and riverfront views by night. Viking refrigerator and gas cook top, separate ice maker, under counter fridge are perfect additions for the serious cook and or entertainer. 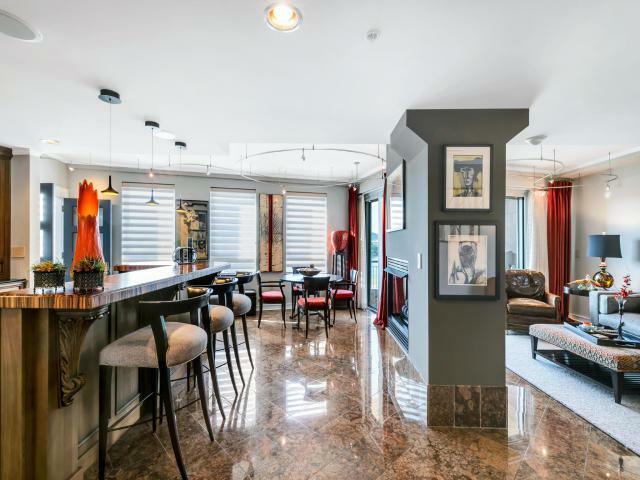 Marble tile floors, custom cabinets, granite countertops and a custom designed zebra wood bar with see thru gas fireplace designed to be enjoyed from both kitchen and living room area. The office area is a perfect space to work from home or library addition. 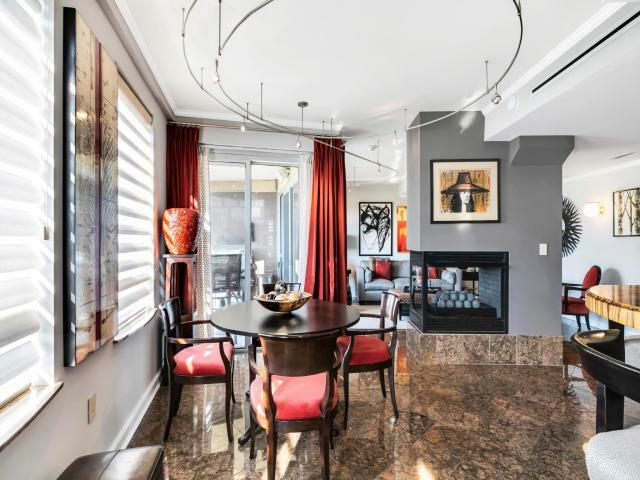 More...A wet bar with updated cabinetry is locatedby the master bedroom and the second balcony. The master bedroom bath has custom designed walk-in closet, jetted tub, double vanities, updated tile shower with both rainfall shower system and hand shower. Additional bedroom has its on private bath. Sizeable half bath with laundry closet in conveniently located off off entryway. Enjoy the views from your window or take a front row seat from one or both of your two balconies to be a part of the vibrant entertainment venues offered throughout the year. Take advantage of the stunning views of the surrounding mountains and Tennessee River while living in easy reach of all downtown Chattanooga has to offer. Storage Unit conveys with the unit. Two reserved garage parking spaces are $150 per month. Listing courtesy of Square One Realty, Llc.